Good afternoon, well the sun is shining in cheshire today it's so nice to have a light bright day ,weekend is here again the days are just flying, i have a big job this weekend sorting my craft room out wish me luck you might have to send the search party out. 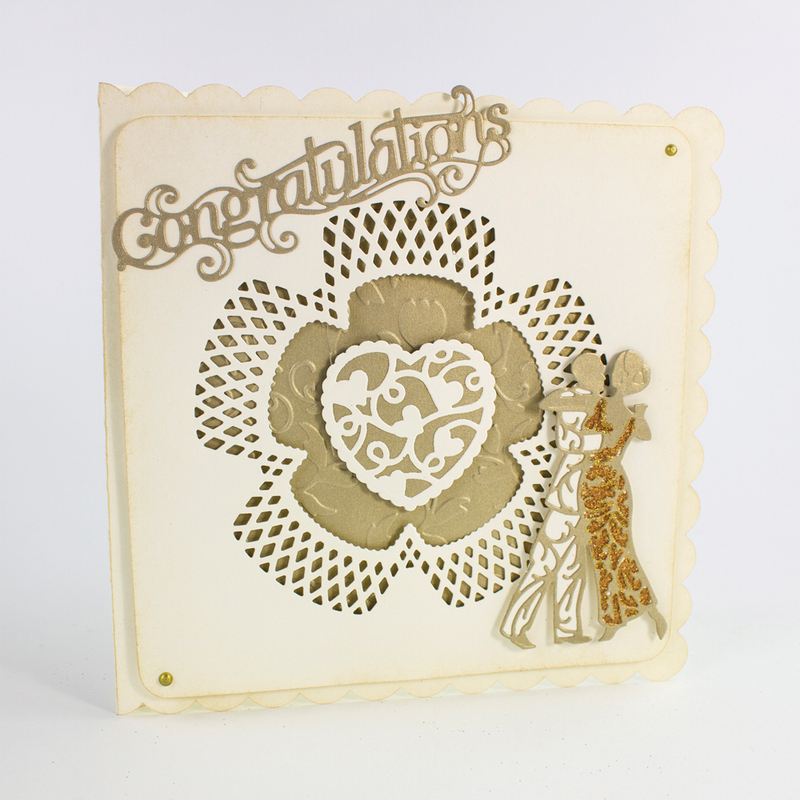 Todays cards are from the flip flop range from Tonic Studios which have been on c & c this past week. 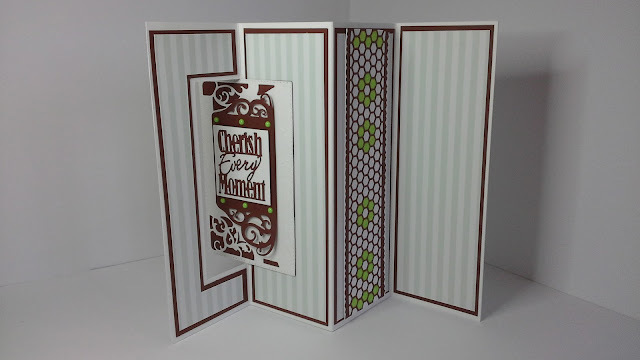 Good Morning, I've quite a few cards to show you that have been made recently so I thought I'd start off with three cards made with the same Tonic Studios Trellis Die Set. 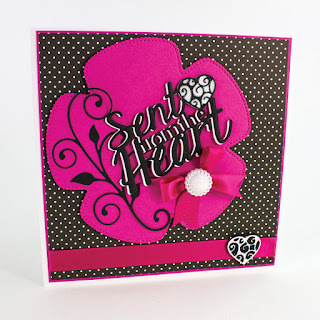 I have a card to share using the beautiful Art Nouveau Oval dies from Tonic Studios. 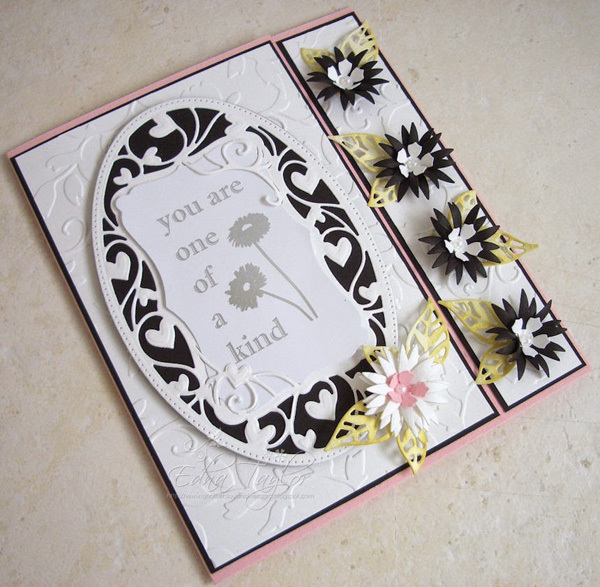 A sideways view to show the layers. 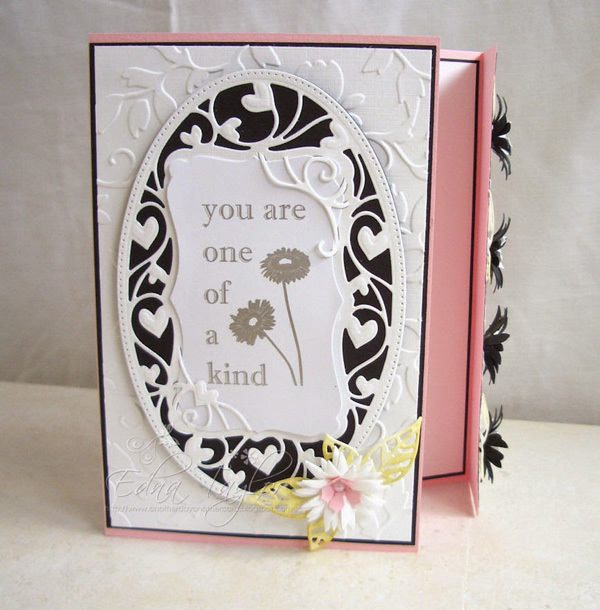 The card is an A5 base with dark violet and white linen from the Papermill. 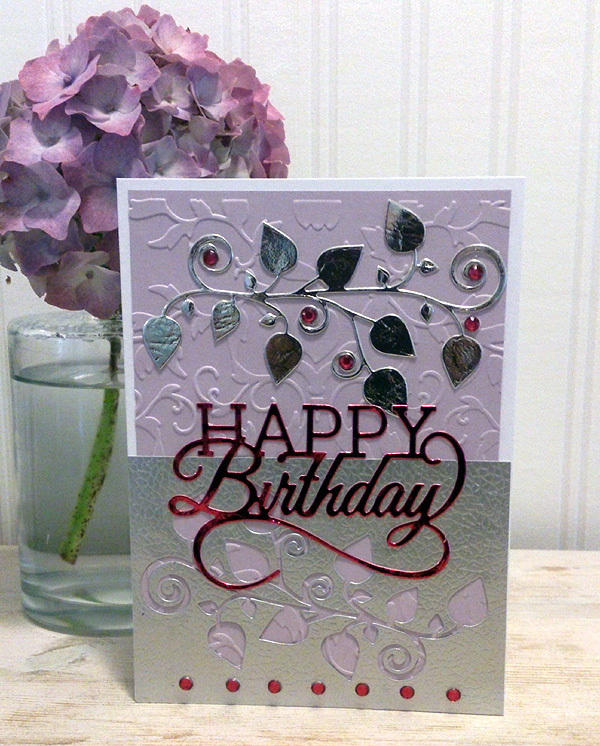 I've used the positive and negative of this diecut for this simple but effective birthday card. 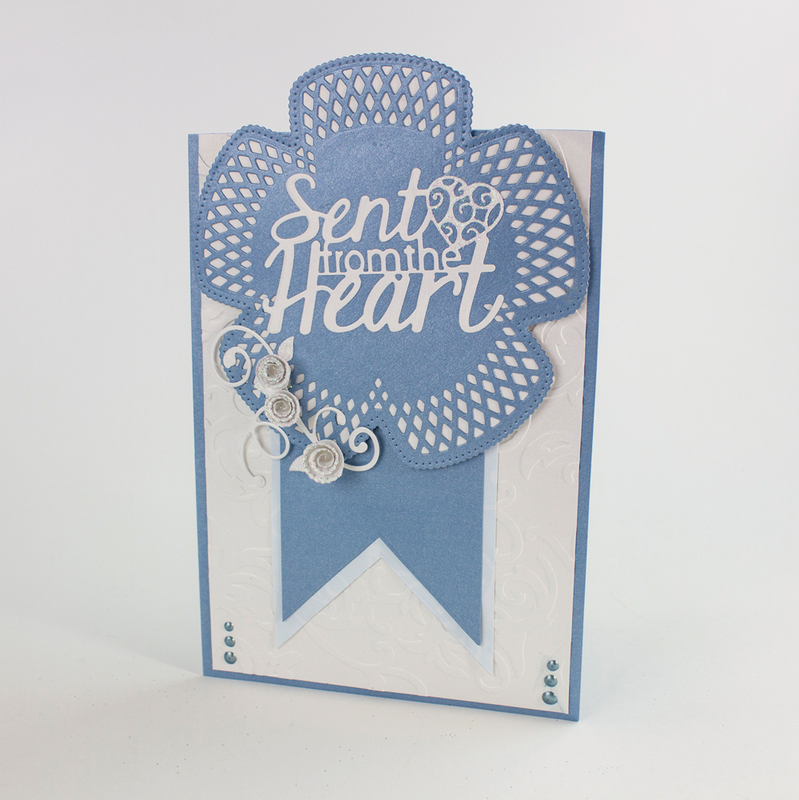 The die is from the Arborial Dream die set and the embossing folder in the background is the Annabel design. 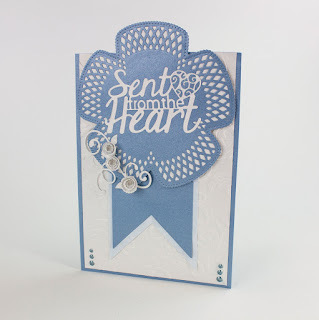 The Happy Birthday is of course also Tonic...a much used die!